Project cargo can be equated to putting together a jigsaw puzzle. There can be a small number of pieces or many but the bottom line is that they all have to fit together. But like all puzzles the pieces do not look the same. The White Rose Group is an expert at putting the pieces of project cargo together, and we enjoy the challenge. - Different modes of transportation including air, ocean, rail and road shipments. 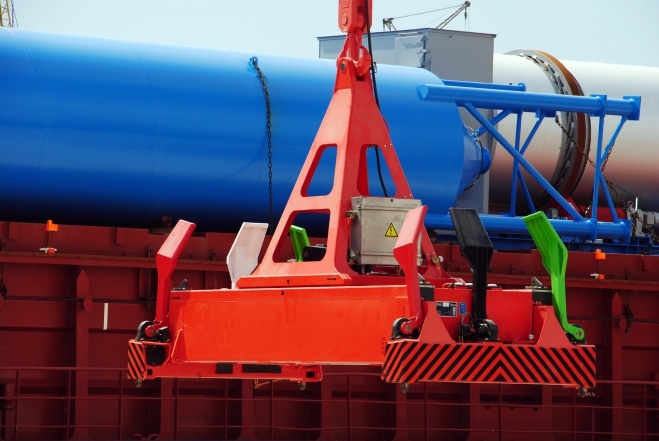 - Special equipment requirements for over-dimensional or overweight cargo. - Coordinating timing of arrival for incoming shipments in conjunction with scheduled installers and technicians. - Accommodating various worldwide origin points and ensuring compliance with both export and import customs agencies. - Assembling a complete tailor-made package to ensure that you are up and running at the earliest possible moment. - Arranging marine/cargo insurance and providing assistance with letters of credit and documentary credits. Accurate packaged dimensions and weight of the cargo. Terms of Sale (Incoterms) that can vary depending on your agreement with the buyer or seller. Equipped with this information, we will analyze and compose a program that will meet your needs. Please Contact the White Rose Group for all of your project cargo needs so that we can put the lat pieces of puzzle together for you. The White Rose Group looks forward to hearing from you. Copyright © White Rose Group.